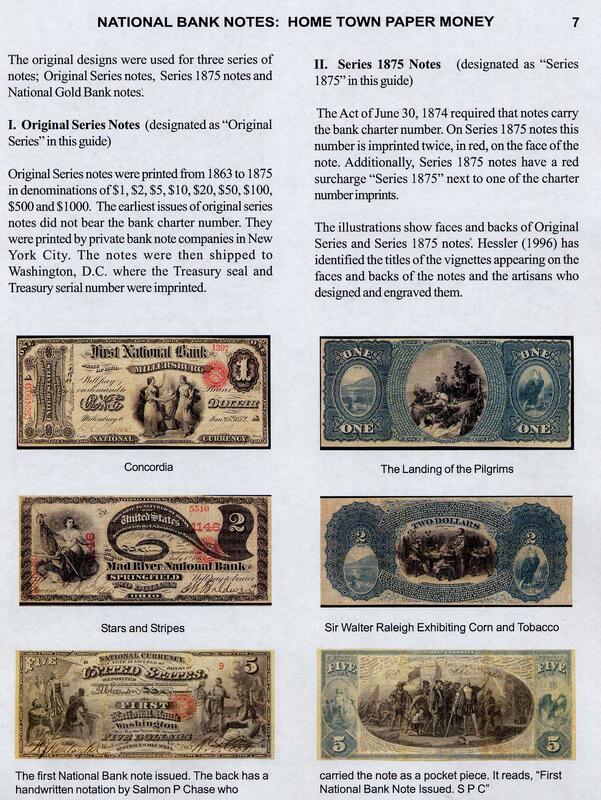 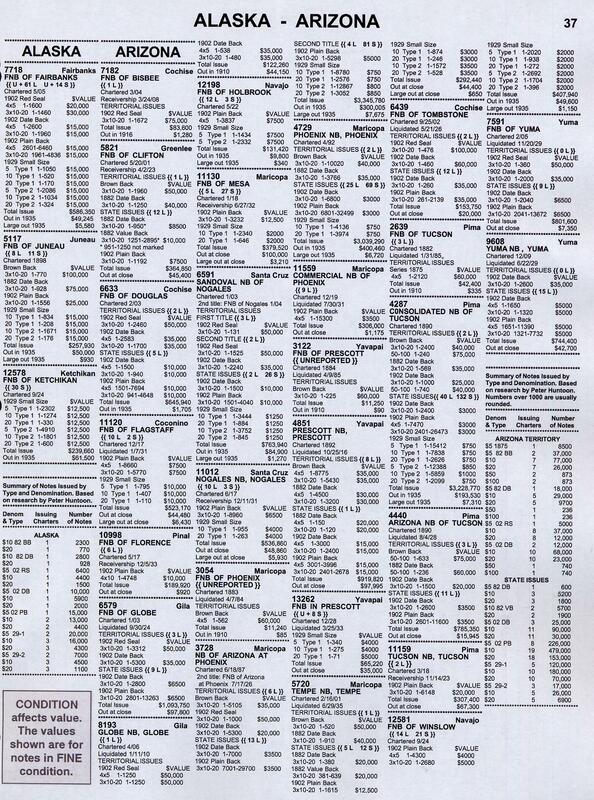 Data Pages give breakdown of notes issued for every bank with values for all types and denominations. 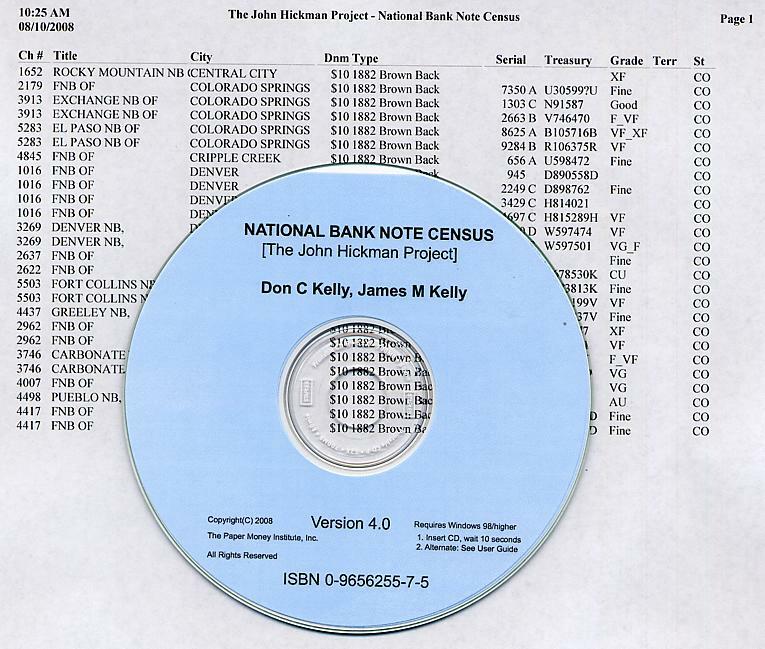 Accompanying CD identifies more than 320,000 National Bank Notes reported to date. 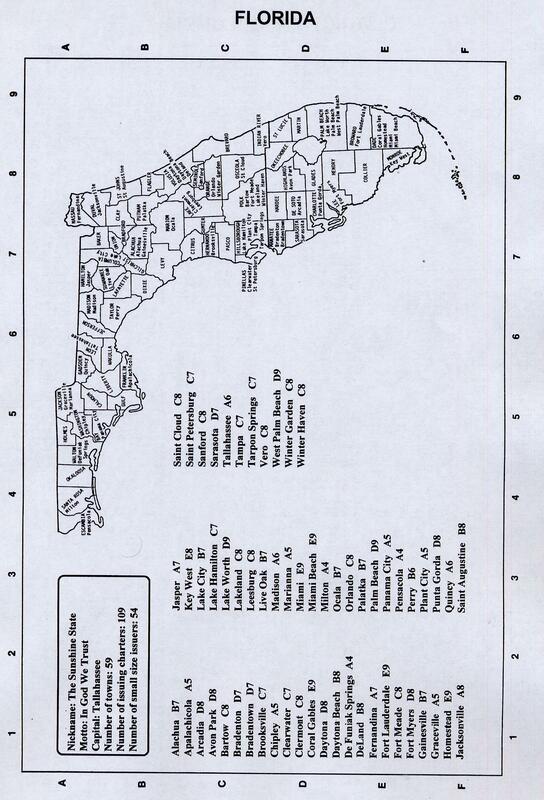 State maps locate towns which had note-issuing National Banks. 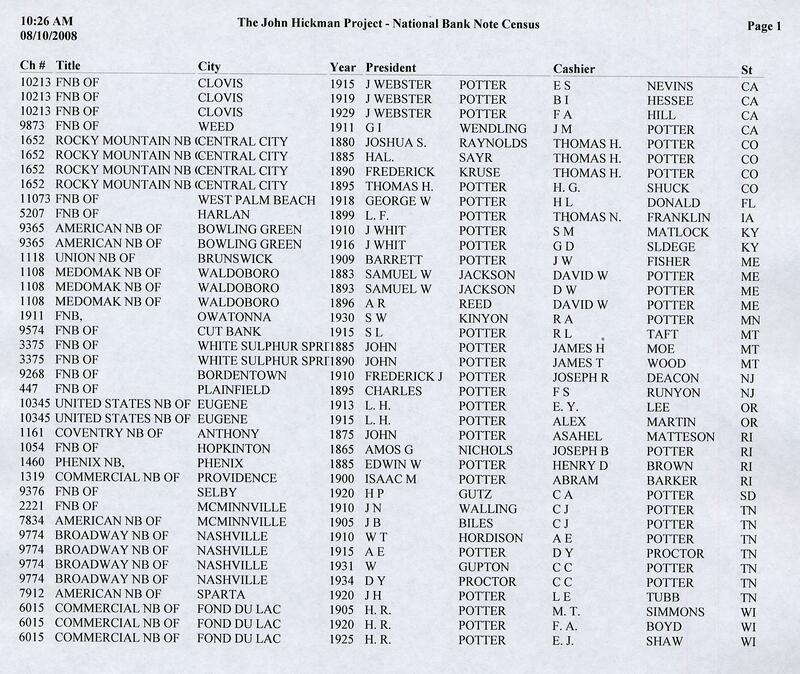 Chronological database of the names of Cashiers and Presidents of note-issuing National Banks.